TFT-LCD Display is developed as a further development is the active-matrix display the control of a matrix of thin-film transistors has been included. A liquid crystal display LCD or TFT-LCD Display is a screen whose function is direction of polarized light affect when a certain level of electrical voltage is applied. Just like LCD screen which consist of segments that can change independently their transparency controlled with electrical voltage in each segment of liquid crystals, TFT-LCD Display works in the same basic principle. A further development is active-matrix display which is employed in TFT-LCD Display. TFT-LCD Display contains transistors manufactured from silicon which are formed to a crystalline silicon wafer like structures, they are processed from a mechanically thin film cut section of silicon deposited on any inert mold-able transparent layer like glass. The silicon layer for TFT-LCD is deposited using more complex methods. Transistors take up a small fraction of TCT-LCD display to allow light to pass through. Material like Polycrystalline silicon is used in high quality TFT-LCD Displays. TFT-LCD Displays lowers the power consumption, TFT-LCD Display has no radiation unlike Plasma Display. TFT-LCD provides a flicker, distortion-free images, which is ideal for sharp image resolution. The liquid crystals inside the any variant of LCD display including TFT-LCD are toxic in nature and as the displays are usually used on movable electronic devices, they are liable to break. In that cases, the materials TFT-LCD leaks out and often the user never knows the leaked content of TFT-LCD can be poisonous as the manufactures usually never mention this point and keep the device with leaking materials from the TFT-LCD Displays which touches the sensitive part of the skin and the body might absorb the toxic materials. Users are advised not to use any electronic device with TFT-LCD Display which has a leaking screen, must pack it in a sealed bag and wash the skin to get rid of the toxic material if it comes in contact and consult an specialist Doctor at earliest if needed. Light Emitting Diode or LED is an electronic semiconductor component. Flows of current in diode is one direction, it emits visible light, infrared or UV Rays. I am glad that you have liked it. Thanks a lot. 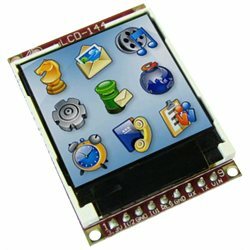 Cite this article as: Abhishek Ghosh, "TFT-LCD Display or Thin Film Transistor Liquid Crystal Display," in The Customize Windows, June 4, 2012, April 24, 2019, https://thecustomizewindows.com/2012/06/tft-lcd-display-or-thin-film-transistor-liquid-crystal-display/.